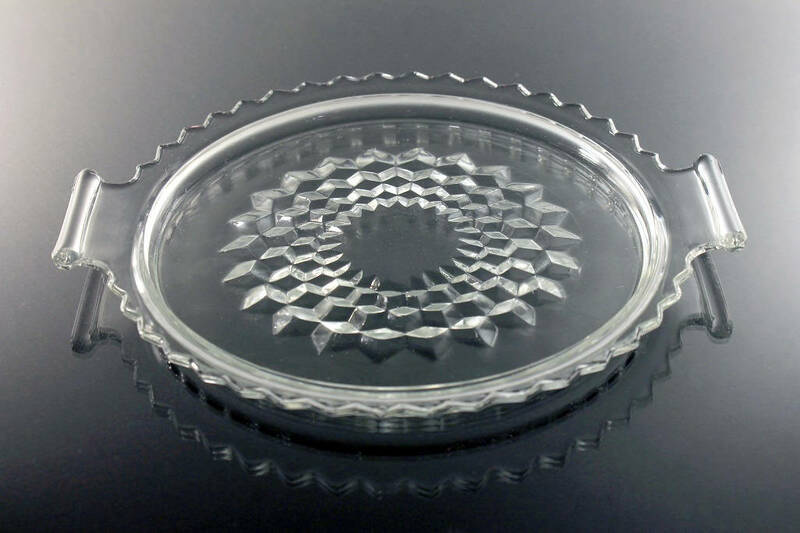 A very pretty clear depression glass handled tray by Jeannette Glass. 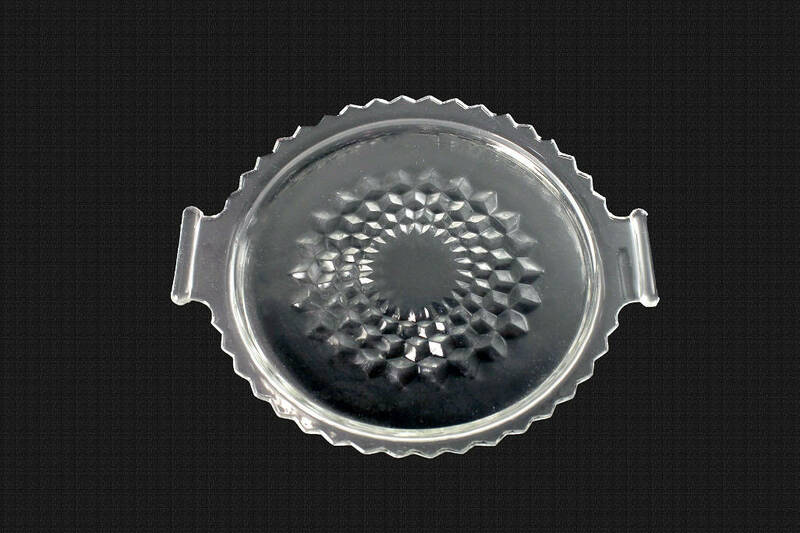 The pattern of the dish is called Cube Clear. 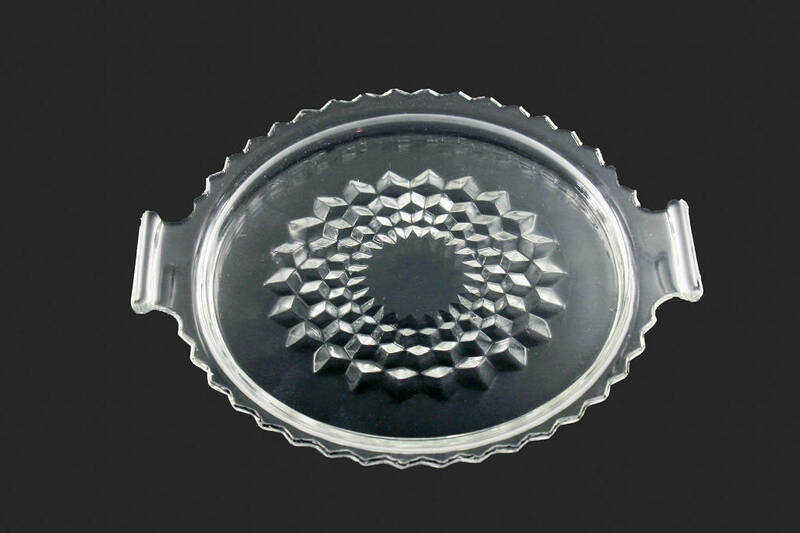 This depression glass tray is from the 1930s and is very stunning. 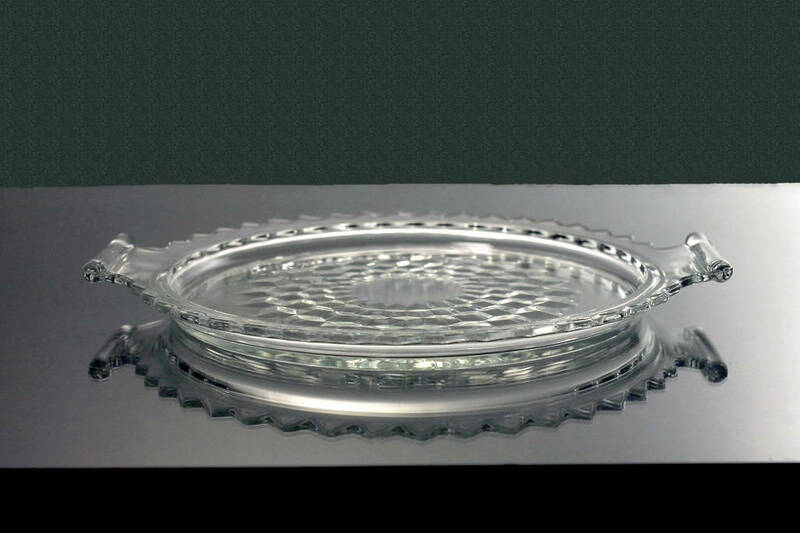 It will look marvelous on a table, sideboard, or buffet. 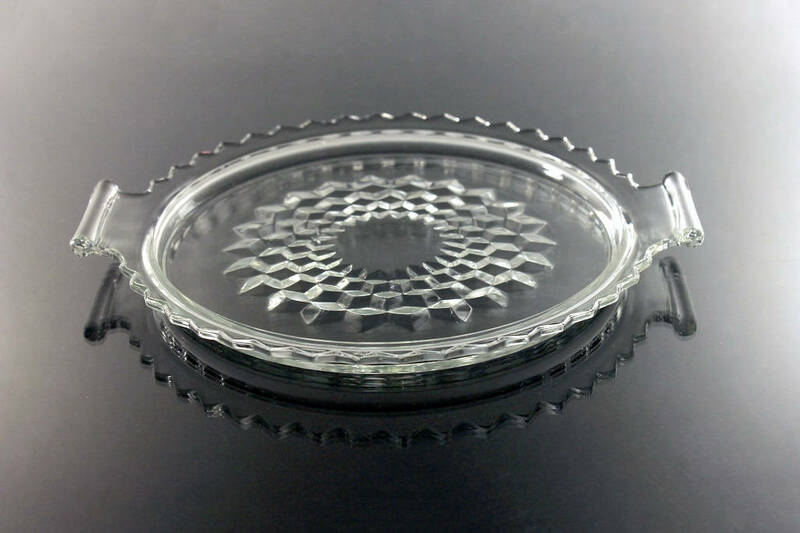 Perfect for cookies and small desserts. 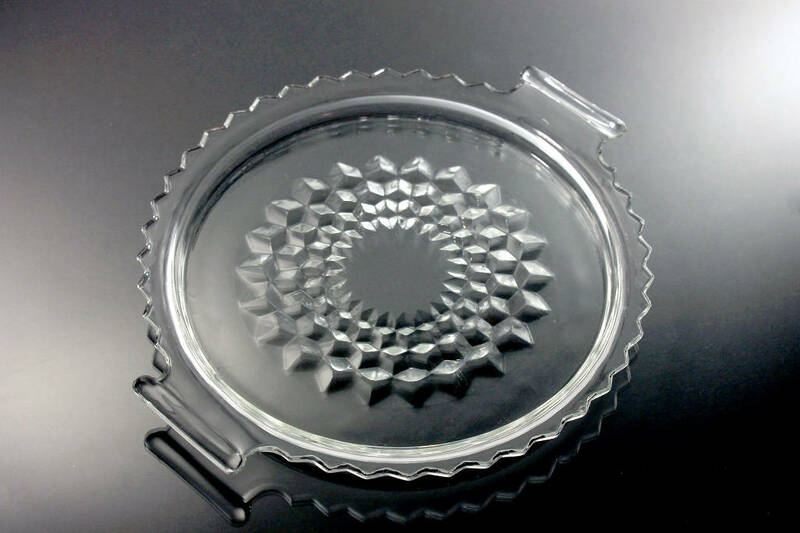 This tray is in excellent condition. There are no chips or cracks. The glass is clear and bright.